academic achievement in communities throughout the U.S.
Bayview Citizens for Social Justice, Inc.
With great pride and an opportunity to boast and give thanks, I would like to take this op-portunity to say 'thank you' for the Bluford Series of books that our (700) campers used this summer in reading groups. These books are truly geared to the inner city child and the contents are readily understandable to them. In the literacy end of our camps this summer, we used this reading material in our aca- demic enrichment for junior high and high school students. We read aloud in small groups hat the comprehension is greatly approved by using this method. As a result thereof, whenever a child had a problem with interpretation of any kind, it became an open discus- sion and at this time students were able to expound on that which they interpreted from the story line. We also did book reports, which proved to be an eye opener to the shortcomings that many of our students deal with regarding writing skills or the lack thereof. The students were very pleased and entertained by the books. On behalf of the Sunrise and Cseep non-profit organizations that run these after-school and summer programs, I with to thank you for your wonderful contribution. Without your generous offerings we would have no library to call our own. Our library is growing be-cause of Embracing the Child and our children use it more and more. Thank you again. We look forward to continuing our partnership in the school year to come. "I just wanted to thank you for making it possible for our facility to receive the Bluford Book series. We have had an overwhelmingly positive response from our kids. They have been begging for copies of the series to take home with them when they leave. Our teachers are delighted and say they have never had kids give such a positive response to schoolwork—the kids look forward to doing the assignments that came in the teacher’s guide. Thank you so much." The juveniles have responded to the Bluford Book series very well. They love them. 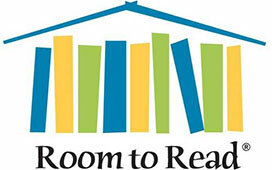 The Director of the Facility, Muriel Burns, has started a book club for the juveniles and staff have gotten involved. Lately, juveniles that have been released from the center have asked to take a book or two with them. Other agencies that are involved with the juveniles have heard about this series and are getting their juvenile involved. The books are great. Thanks you so much. On behalf of the entire KIPP Team and Family, I am writing to express our sincere appreciation for your generous gift. I just got back from a tour of several of our schools. At each stop, our school leaders spoke of how they were excited to introduce your books to their students. Thank you for partnering with us in our effort to equip historically underserved youth with the knowledge, skills, and character needed to succeed in top quality high schools, colleges, and the competitive world beyond. The students could not stop reading the books. I have never seen them so eager to read. The series was wonderful for them. Thank you again. Thank you for the very generous gift of a copy of the Bluford series for each of our students. Your support will go an extremely loing way to help our teachers to prepare our students for higher education and self-sufficiency. From a student: Recently you donated to our school a great book called Blood Is Thicker. One of my favorite past-times is reading, and I especially enjoy reading a new book that I’ve never read before and discovering a new adventure. Thank you for sending those books. It was very sincere of you to donate them to students who love to read. Hi, my name is Ollisha Pamplin, and I am a seventh grader at KIPP Academcy: Houston. My favorite class is (coincidentally) English. In English class right now, we have organized book-clubs. Your donation came right on time because some of our book-clubs were having a hard time deciding which book they all agree on. All of a sudden, a big box of the same books came in. It was definitely what we needed. Thank you. Once again, we love the book, and we love reading.. We even have a chant that says “you gotta read, baby, read.” Reading really means a lot to us and to have so many books donated to us is incredible. Thank you again. Sincerely, Ollisha P. Be nice. Work hard. Thanks for the great collection of books. We received them yesterday and as I was unpacking the boxes today the kids were all lining up to get a copy. We haven’t had the chance to do much reading just yet, but the illustrations on the front and the titles certainly have captured everyone’s attention! I’ll keep you posted! Martha’s Carriage House c/o Child, Inc. I wanted to thank you for The Bluford Series books. I have given every child who came through our shelter over the age of 13 the series. They love them! I have heard nothing but great things about the books. Kids who told me in the beginning of their stay that they don’t like to read have picked one up to read. I think the kids like them because the books are about everyday issues that they deal with. I think all the kids can relate to at least one of the books. Friday is reading day here and all of my teens curl up on a couch with a book. In addition, I have given the series to teens who are no longer in our program. Even though the teens and their mothers no longer reside in the shelter, they still access our services. One teen told me that her mother made the series her reading project for the summer!!! I truly believe that these books have been a great success! 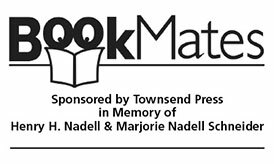 Thank you very much for your generous donation of a complete Bluford series for each of our 160 students, and a teacher’s manual. The students are ecstatic over your gift and word spread quickly across the school when the books arrived Monday… One of our major projects this summer is establishing a dedicated library to provide our growing student body with permanent space to study, read for pleasure, and work in small learning teams. The Bluford series books you donated will form the core of this new library and will be vital to supporting our goals of challenging students academically while teaching the character skills necessary for success in school and life. Teachers are working to incorporate several of the books into reading class to support our academic focus, with hopes that class reading will inspire students to visit the library to borrow subsequent books in the series to read for pleasure. By encouraging students to borrow and return the books and to take care of them, your gift of library books is concurrently supporting our goals of character education.